Many believe that the political advocacy and fervor for Cuban independence in Tampa ignited a radical zeal in Martí to champion the cause. 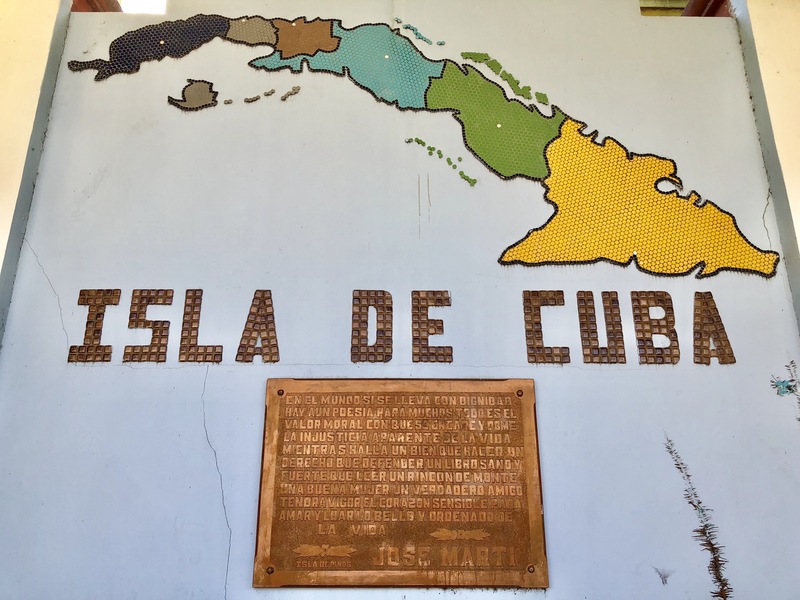 Tampa’s proximity to Cuba allowed him and fellow Cubans to maintain close connections to their countrymen and spark a revolution. Tampa gave Martí and the Cuban Independence Movement both purpose and security. 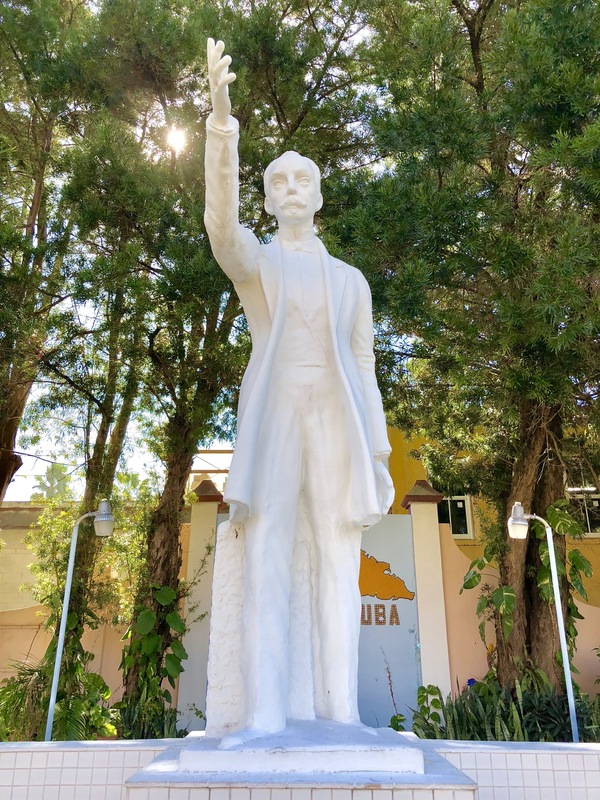 “The Apostle of Cuban Independence” José Martí was born in Havana to Spanish immigrants in 1853. From a young age, he dedicated himself to the Cuban struggle for independence. During his life he visited Tampa 20 times, a place with strong ties to Cuba where he consolidated drive and advocacy to bring change to Cuba. Martí attended university in Spain and studied law and philosophy. He published his first newspaper, La Patria Libre (The Free Fatherland), in 1869 and later El presidio político en Cuba (The Political Prison in Cuba), a protest against the abuse in Cuban prisons. He moved to New York in 1881, where he resided for the next 11 years. Well-versed in Spanish literature, Martí wrote poems, essays, books, English translations of novels and journal articles. He also informed readers of major events and life in the United States in Spanish-language newspapers as an admirer of the country’s vigor, industry and Constitution. Besides his literary prestige, Martí became known as a Cuban national hero and was invited to speak at Ybor City’s revolutionary clubs. In November 1891, he arrived to Tampa from New York via the Henry B. Plant railroad. He delivered two of his most famous speeches at El Liceo Cubano (The Cuban Lyceum), Vincente Martínez Ybor’s first cigar factory converted into a theatre, on 13th Street and 7th Avenue. That site became the headquarters of his visits. Martí's speeches were published and read in cigar factories throughout Tampa and Key West. In both cities, he united different factions under a common cause—Cuban independence. 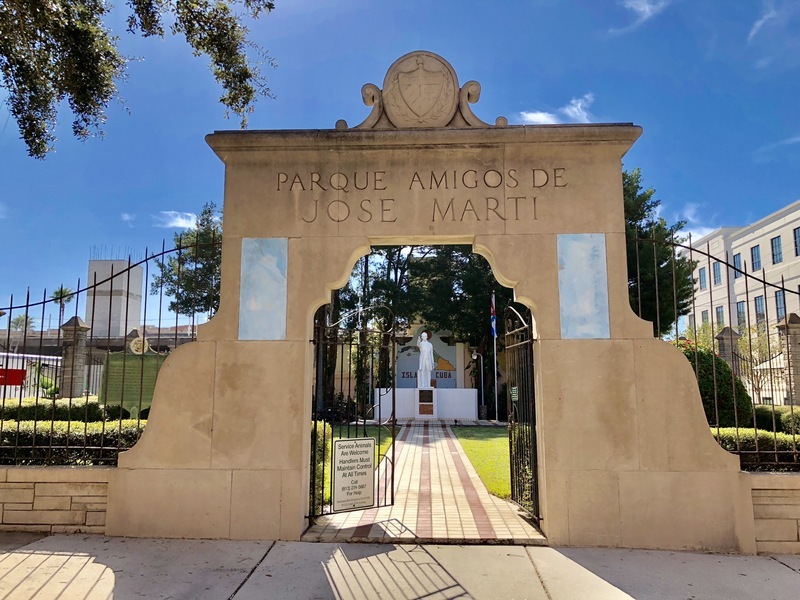 Martí loved Tampa and its people, and called the city “El Pueblo Fiel” (The Faithful Town). In 1892, he founded the Cuban Revolutionary Party and drafted its basic principles in Tampa. His compelling oratory raised money for the Cuban Independence Movement, and cigar workers offered a portion of their wages to the mission. Martí and other Cuban insurrectionists were received by Tampa Mayor Herman Glogowski, who transported them from City Hall across the new Lafayette Street Bridge in his carriage to see the newly dedicated Tampa Bay Hotel. He was also hosted at the Pedroso House on 13th Street and 8th Avenue, the current location of Parque Amigos de José Martí (Friends of José Martí Park). After celebrating his 40th birthday, Martí paid seven visits to cigar factories in Ybor City and held meetings and fundraisers at El Liceo Cubano. The growing number of cigar manufacturers in the city increased financial support for his endeavor. Among Martí's friends in Tampa elected to City Council were Ramon Rubiera de Armas, Emilio Pons, Candido Martínez Ybor and Ramon Rivero y Rivero. 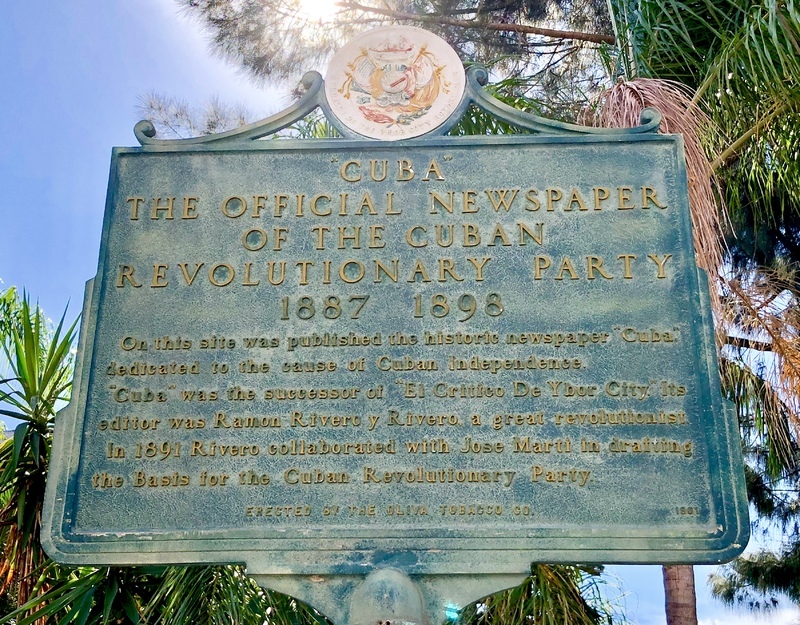 Rivero is noted for having introduced Martí at his speeches, but also for his work as the publisher of many local Cuban patriotic newspapers, such as La Revista de Florida and El Critico de Ybor City. The Cubans in Tampa frequently traveled back and forth between the city and their homeland. Martí listened to his compatriots’ grievances and reports about the atrocities of Spanish colonial reign, which made Tampa a safe haven to openly discuss their objections and desire to overthrow Spanish regime. While in New York, a few days after his 42nd birthday Martí signed the order of uprising against Spain. He then directed his secretary Gonzalo de Quesada to deliver it to Fernando Figueredo Socarrás, West Tampa’s first mayor. Socarrás requested cigar magnate O’Halloran to roll the decree into a cigar, which Quesada (later Cuba’s first U.S. ambassador) carried to Key West on Henry B. Plant’s steamship. There, Quesada handed the cigar to another courier who took it to Cuba aboard Plant’s steamer and gave it to Juan Gualberto Gomez. Gomez opened the loaded West Tampa cigar with Martí's instructions and ordered Cuban insurrectionists to initiate the War of Independence, which began on February 24, 1895. Martí arrived in Cuba shortly afterward, but was killed in a small skirmish on May 19. Martí’s “Cuba Libre!” (“Free Cuba!”) dream was ultimately fulfilled on May 20, 1902, when the country obtained independence. 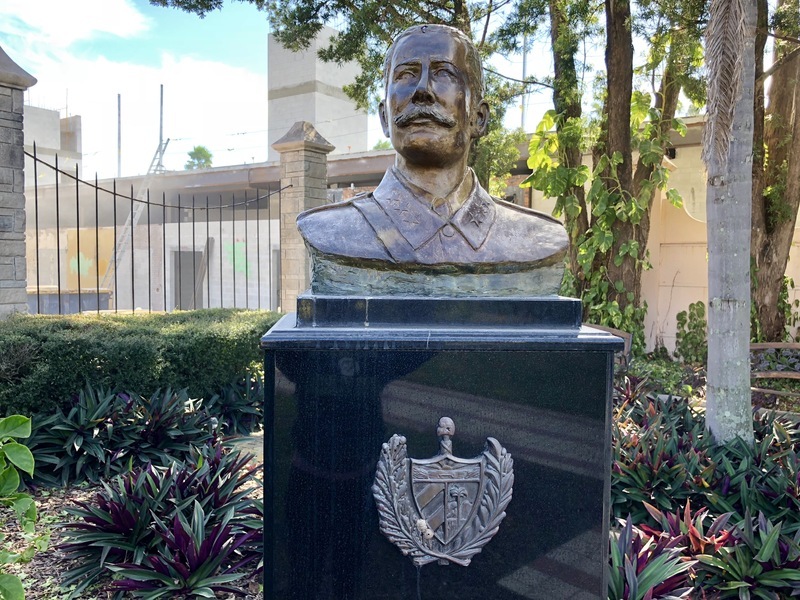 Several effigies of Martí are scattered throughout Ybor City, including busts and a statue which stands in José Martí Park. 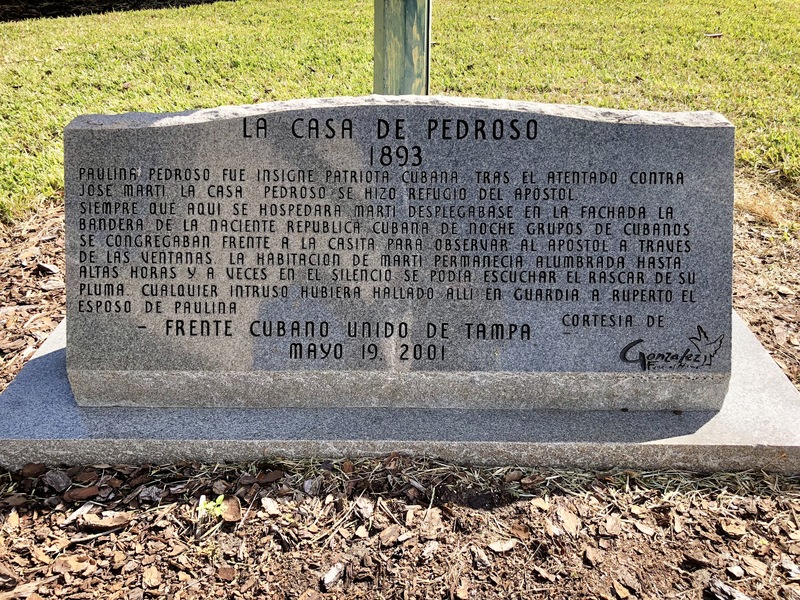 Alixandra Waitman , “José Martí,” Tampa Historical, accessed April 20, 2019, http://tampahistorical.org/items/show/43.